Steelers 2017 Free Agent Cody Wallace – Does B.J. Finney’s Rise Mean Wallace’s “Life’s Work?” has Arrived? In the modern, salary-cap era of the NFL, getting a pink slip on cut down day doesn’t necessarily spell doom. Current Steelers Fitzgerald Toussaint, Anthony Chickillo and James Harrison have been cut only to see another NFL Day. But when The Turk came knocking down in Tampa in September 2013, Cody Wallace had to fear The End had arrived. After all, Cody Wallace had bounced around between the 49ers, Lions, Texans, and Jets rosters and practice squads from 2008 to 2011 and landed a spot duty position with Tampa in 2012. When you’re a 28 year old NFL offensive lineman who has been with 5 teams in 5 years and you get cut, “Life’s Work” is usually comes next. Kevin Colbert and Mike Tomlin had other ideas, and the Steelers claimed Cody Wallace off of waivers. But even then, Cody Wallace appeared to be an insurance pickup. Maurkice Pouncey was continuing the Steelers tradition of stability at center that runs (almost) unbroken from Ray Mansfield, to Mike Webster, to Dermontti Dawson to Jeff Hartings. Little did they know, the Steelers would need Wallace’s services and need them soon. That was four years ago and now the Steelers must decide if free agent Cody Walllace’s services are still worth it. When Maurkice Pouncey went down on opening day 2013 against the Titans, Cody Wallace was in street clothes. The Steeler signed Fernando Velasco who started the next 11 games until he too got injured in the Steelers Thanksgiving loss to the Ravens. It was Cody Wallace’s turn to be the next man up, and Wallace finished that game and started the final four games of the Steelers 2013 season. In 2014 Cody Wallace appeared in 15 games and gave two solid performances starting at guard. When Maurkice Pouncey went down for the count in 2015, Cody Wallace started all 16 of the Steelers regular season games and both playoff games at center. Going into 2015 the Steelers had a pretty good record when Cody Wallace started, and during 2015 Ben Roethlisberger enjoyed solid protection the entire time, and Le’Veon Bell and DeAngelo Williams had solid run blocking. 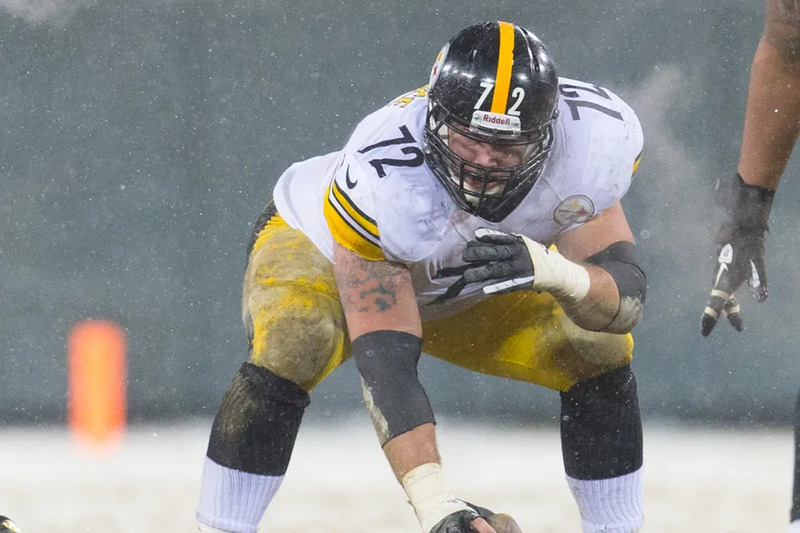 Cody Wallace only appeared in one game during 2016 and was put on injured reserve just before the Steelers game road game against the Ravens. Cody Wallace gives the Steelers veteran depth at the offensive line and the ability to step in and start at not one but two positions. While the NFL injury gods haven’t tortured the Steelers in recent years the as badly as they did at the beginning of the decade, the Steelers have learned the lesson that you can never have too many good offensive lineman. Cody Wallace knows Mike Munchak’s system. He’s a quality player who has shown the ability to deliver when called upon time and time again. B.J. Finney and Chris Hubbard. Both are younger lineman benefited from Wallace’s injury and absence in 2016. While both players offer the rare combination of experience and youth. They’re known commodities. In contrast, Cody Wallace will turn 33 this year and he’s coming off of an injury. The Steelers also have 2016’s 3rd round pick Jerald Hawkins coming back in 2017. While Hawkins plays tackle he’s another younger lineman that the Steelers will need reserve a roster spot for. Given that, Cody Wallace isn’t worth even a minimal signing bonus. The Steelers can get the same depth with younger, cheaper players. If this were simply and X’s and O’s decision, and if my medical staff assured me Cody Wallace’s injury wasn’t long-term, then this arm-chair general manager would bring him back. It is true that B.J. Finney did an exceptional job as a guard. But does anyone remember his first start at center in the Steelers 2016 regular season finale against Cleveland? On the Steelers first several 3rd downs ended in sacks as, the Browns ran right at Landry Jones and on came Jordan Berry. That was fine for a meaningless game against the Browns, but if you’re Mike Tomlin, do you really want to roll the dice with letting that happen to Ben Roethlisberger? But of course personnel decisions in today’s NFL don’t simply come down to the X’s and O’s, they’re just as much about the bang for your salary cap dollar. And in that analysis, the argument for letting Cody Wallace walk gets a lot stronger. And at the end of the day, the Steelers will almost certainly hold off on making any sort of an offer to Cody Wallace, see who they can pick up in the 2017 NFL Draft, and only then seriously consider bringing him back. In all likelihood, while the door isn’t completely closed, the Steelers look set to move on from Cody Wallace. Sometimes it pays to wait before preparing to grab the pitchforks and storm the barricades. Such is the case with the lead up to the Steelers showdown vs. the Ravens at M&T Bank Stadium. Going into the game the key personnel questions for the Steelers, aside from whether Ben Roethlisberger or Landry Jones would start, was whether the Steelers would activate Ladarius Green. And that indeed might be part of Keith Butler and Carnell Lake’s plan is. But the Steelers made another roster move made the news about Artie Burns first start a little easier to understand as they put reserve guard/center Cody Wallace on injured reserve, and activated practice squad defensive back Al-Hajj Shabazz. As Joe Rutter of the Pittsburgh Tribune-Review explained when announcing the move, the Steelers decision to activate Al-Hajj Shabazz quite possibly indicates that William Gay will be unavailable for the Ravens game, given that Gay missed practice on Friday after participating during the entire week. If the story does turn out to be true, and William Gay misses the game against the Ravens, Joe Flacco will get the chance to revive the Raven’s fortunes against a secondary that has struggled mightily even with its most experienced player in the lineup. However, the Steelers are expect to get both Ryan Shazier and Cameron Heyward back which can only help the unit. The franchise that started only one more center (Ray Mansfield, Mike Webster, Dermontti Dawson, and Jeff Hartings) than it had head coaches (Chuck Noll, Bill Cowher and Mike Tomlin) during a 38 year period from 1968 to 2006, the Steelers have not had good luck keeping centers healthy of late. If Maurkice Pouncey’s reputation for being “injury prone” is unwarranted, the man has not had good luck. His replacement, Fernando Velasco, lasted 11 games before falling injured, only to be replaced by Cody Wallace. Now Cody Wallace’s 2016 has ended because of an injury he suffered during training camp. is in the final year of the contract he signed with the Steelers in 2014. One has to wonder this injury might end his time in Pittsburgh. The Pittsburgh Steelers 2016 Draft Class added both quantity and, on paper at least, talent to the team’s most glaring weaknesses on the depth chart. Kevin Colbert and Mike Tomlin also added depth to several other key areas. One area that Colbert and Tomlin failed to address was running back. As things stand today, the Steelers 2016 running back depth promises to be dangerously thin. Here’s a look at how Colbert and Tomlin might address that need before the season. The Steelers 2016 Draft Needs Matrix pegged running back as the Steelers 4th most urgent area of need not because of talent issues, but because of the Steelers thin depth at running back. Le’Veon Bell has turnkey talent and DeAngelo Williams appears to be a free agent steal. Fitzgerald Toussaint has the look of a solid backup based on his playoff performances, his fumble not withstanding. After Toussaint, the Steelers have zip in terms of proven depth behind him. If Art Rooney II’s words offer any guide, the Steelers expect Le’Veon Bell to be back at full strength. That’s fine, but in 2016 Bell will begin his fourth season on a league where the average running back’s career lasts just above three. And he’s coming off a complicated MCL, PCL injury. And he’s missed time due to injury in each of his first three seasons. running backs average less than 3. DeAngelo Williams will turn 33. For a franchise that started its 4th string running back in 3 consecutive post-season appearances those factoids hardly encourage confidence. Colbert and Tomlin know this and responded by trying to trade the 5th round. The Steelers found no takers, at least at a reasonable asking price. So which running backs did the Steelers miss a chance to draft? So which running back did the Steeler miss? The Steelers must have wanted one of them, because they stuck to their board and Pittsburgh’s time-honored tradition of drafting 6th round linebackers with Travis Feeney. Surprisingly, Colorado’s Christan Powell was the only running back in the Steelers 2016 undrafted rookie free agent class, and he got cut after rookie minicamp. In contrast, the Steelers drafted no offensive lineman in the 2015 NFL Draft, yet brought 5 offensive lineman to Pittsburgh with their 2015 undrafted rookie free agent class. Yes, the best free agent running backs have long been off the market, but teams can and do make roster moves after the draft. The website Sporttrack lists 23 free agent running backs that remain unsigned, including Reggie Bush, LeGarrette Blount and Arian Foster. If the Steelers really were interested in adding depth at running back via free agency, they likely would have done so in March instead of waiting until May. Nonetheless, on May 12 unsigned players officially become “Street Free Agents” meaning teams can sign them without impacting their compensatory picks. The Steelers could take advantage of that to add a body, but if they do it will likely be the type of free agent who isn’t even assured a roster spot in September. Trades are rare in the NFL and until recently the Steelers rarely trade for another player. Yet, that has changed lately. In August 2013, Kevin Colbert traded Adrian Robinson for Felix Jones. Later that season, he traded for Levi Brown. Last summer Steelers traded for Brandon Boykin…. …And you can see why the Steelers prefer to avoid acquiring layers via trade. Arguably, Felix Jones was the most productive of the three, and that’s not saying much. Levi Brown got injured in warm ups and never played a down. Brandon Boykin spelled Antwon Blake late in the season and perhaps provided an upgrade, but the Steelers think more of untested Senquez Golson than they do Boykin. In terms of trading to build depth at running back, the Steelers actually traded for Patrick Cobbs when Duce Staley couldn’t dispel their doubts at the end of the 2006 preseason. Cobbs never played a down in Pittsburgh, although he did carry 37 times over five years in Miami…. Don’t expect the Steelers to trade for a running back. Kevin Colbert ranks among the best NFL General Managers when it comes to finding players who can help the Steelers after they’ve been discarded by other teams. 2013’s cut down day saw the Turk visit Fernando Velasco in Nashville and Cody Wallace in Tampa Bay, but both made multiple starts for the Steelers at center later that season. In terms of running backs, the Steelers picked Najeh Davenport off of waivers early 2006, and Davenport was a solid contributor in for two seasons. The Steelers picked up DuJuan Harris in 2012 during training camp, and he went on to contribute to Green Bay. Jordan Todman and Fitzgerald Toussaint both got pink slips at the end of training camp and ended up starting for the Steelers in the playoffs. One harsh reality of the modern NFL is that proven backups get cut simply because rookies offer teams more bang for their buck. Colbert has kept many a gem from falling though the cracks of the NFL salary cap, and you’d better believe he will closely watch for running backs who reach the waiver wire all between now and September. Based on what we’ve seen since the 2016 NFL Draft, this appears to be the Steelers plan. Following rookie minicamp, two of the four Steelers roster moves involved replacing running backs. While banking on undrafted rookie free agents to provide depth at running back is a roll of the dice, remember is the same franchise that saw a little known running back who hardly played in North Carolina named Fast Willie Parker go from training camp surprise in 2004 to a run from scrimmage record setter in Super Bowl XL in January of 2006. Both Carey Davis and Gary Russell had some NFL experience prior to joining the Steelers in 2007, and while no one will ever confuse the tandem with Rocky Bleier and Franco Harris, both men helped win Super Bowl XLIII. At the Steelers rookie minicamp, Mercyhurst’s Brandon Brown-Dukes impressed Jim Wexell, although Wexell did describe him as “diminutive.” Dale Lolley reports that Cameron Stingily, who was injured in last summer’s Hall of Fame game, is running well and looking leaner than in 2015. The Steelers cut running backs Rajion Neal and Christian Powel to make room for Stingily and Brown-Dukes. While these move come squarely at the bottom of the Steelers roster, they demonstrate that Kevin Colbert and Mike Tomlin are keenly aware Steelers running back depth needs to improve. Of all the free agent choices the Pittsburgh Steelers must make in 2016, perhaps none is surrounded by as many X-Factors as the decision they must make on soon to be free agent left tackle Kelvin Beachum. The next time someone tells you that 7th round picks are worthless, remind them of Kelvin Beachum’s story. The Steelers drafted Beachum in the 7th round of the 2012 NFL Draft, making him one of 4 7th round picks that season. All of the other picks washed out, save for some limited contributions from David Paulson, but Kelvin Beachum began paying immediate dividends. As a rookie Beachum appeared in seven games and started in five, making his first start in the Charlie Batch led Steelers road upset over the eventual Super Bowl Champion Baltimore Ravens. Beachum tarted the final 5 contests at right tackle for the injured Marcus Gilbert, and heading into his sophomore season, the Steelers plan was to use Beachum as a 3rd tight end and backup at all five offensive line positions…. ….That plan did not live past the Steelers first series, as an inadvertent David DeCastro collision with Maurkice Pouncey cost Pouncey the season, and Beachum was there playing center for the first time in his football life. Fernando Velasco’s arrival alleviated freed Beachum from his duties at center, but Steelers coaches quickly began rotating him in with Mike Adams and Marcus Gilbert in an effort to shore up the Steelers porous pass protection. Following the Steelers loss in London to the Vikings, where Jared Allen tormented Ben Roethlisberger, the Steelers benched Mike Adams and installed Kelvin Beachum as their starting left tackle, where he would not miss a game until tearing his ACL in the Steelers win over the Arizona Cardinals. The Steelers wanted to extend Kelvin Beachum’s contract before the 2015 season began, but the two sides could not reach an agreement. In doing so, Beachum probably sacrificed several million dollars of signing bonus. Clearly, the Steelers coaches like Beachum. However, Alejandro Villanueva’s emergence has changed the equation. Alejandro Villanueva stepped in as the starter, and while he struggle, he improved down the stretch, and gives the Steelers a more prototypical left tackle at a bargain rookie contract rate. The Steelers plan was to resign Beachum and move him to guard, but Beachum is ruling out a move to guard. If salary cap considerations could be ignored, the Steelers could probably sign Beachum to a reasonable contract, given his injury status, and have Villanueva play as a swing tackle. But the Steelers salary cap situation does not give them that kind of flexibly. If the Steelers believe that Alejandro Villanueva is a long term starter at left tackle, then it is impossible to make the case that the Steelers should resign Kelvin Beachum as a tackle, and if he does not wish to play guard, then there really is no place for Beachum on the 2016 Steelers. How serious is Kelvin Beachum when he says he will not move to guard for the Steelers or any other NFL team? That really is the operative question. His language was clear and unequivocal, but quite frankly this is exactly what prospective free agents are supposed to say. Even if Beachum meant it when he said it, there’s no assurance that some NFL team is going to offer him the type of starting money as a left tackle that he wants, not when he’s coming off an ACL tear. If that happens an offer from the Steeler to play guard could suddenly get more attractive. But if the Steelers allow both Ramon Foster and Kelvin Beachum to reach free agency, they are taking a huge gamble with their left guard position heading into free agency. Kevin Colbert and Mike Tomlin rarely base their personnel decisions out of fear, they opened free agency in 2009 by cutting Kendall Simmons and without either Chris Kemoeatu or Trai Essex under contract, so change in the Steelers offensive line could very well be in the air. That coupled with the headline “Steelers free agent signs with another team” coming less than 24 hours before the Steelers arrive at St. Vincent’s in Latrobe for training camp could cover a number of players, from Brett Keisel to James Harrison to wild cards such as Plaxico Burress and and even LaRod Stephens-Howling. No, this latest defection involves Fernando Velasco signing with the Carolina Panthers, a player who in less than a full season of starts, managed to develop something of a cult following in Steelers Nation. Last year when David DeCastro was taking out Maurkice Pouncey‘s ACL 8 plays into the season opener vs. Tennessee, Fernando Velasco was sitting in a church in Nashville. A week later he was starting for the Steelers at Paul Brown Stadium. Although the Steelers lost that night, and the next two nights, the play of the offensive line steadily improved, and the Steelers eventually started winning. Unfortunately for Velasco, his ride on that train ended vs. the Ravens on Thanksgiving, when he tore his Acillies late in the season. Cody Wallace did a respectable job in snapping the ball to Ben Roethlisberger, and the Steelers opted to resign Wallace instead of the recovering Velasco. Any thoughts that the Steelers might still opt for the Velasco-Wallace combo at center ended when the Steelers renewed Pouncey’s contract in early June. It is said that Day 3 of the NFL Draft is the time when teams look to build depth, and that appears to be exactly the goal the Pittsburgh Steelers had in mind when they used their second 5th round pick to take Vanderbuilt Center Wesley Johnson. It had been speculated going into the draft that the Steelers might be interested in either dealing Maurkice Pouncey and/or seeking to find his replacement, as Pouncey is headed for unrestricted free agency and could carry a contract value that the Steelers won’t be able to meet. If the Steelers are worried about resigning Pouncey, that has not been reflected in this draft, as teams do not look to 5th round compensatory picks to replace 3 time Pro Bowl Centers. Earlier this off season the Steelers resigned Cody Wallace, who was their third starting center after Pouncey and Fernando Velasco were both lost to season-ending injuries. The decision to resign Wallace, coupled with drafting Wesley Johnson likely signals that the Steelers will not resign Velasco. However, Wallace was given a veteran minimum deal, and will have to fight for a roster spot. So too will Johnson. Welcome to Steelers Nation Wesley Johnson. With the 2014 NFL Draft fast approaching, Steel Curtain Rising is reviewing the Pittsburgh Steelers areas of need, now turning its attention to center and guard, two separate positions with some overlapping personnel. With nary a draft pick or a free agent signing, the Pittsburgh Steelers situation is already better than it was on opening day 2013 when David DeCastro’s ill fated cut block took out Marukice Pouncey’s ACL, forcing Kelvin Beachum to play center for the first time in his football life, so thin was the Steelers offensive line depth. By all accounts Maurkice Pouncey’s recovery is proceeding as expected and the Steelers have come to terms with Cody Wallace. Fernando Velasco, who torn his Achilles vs. Baltimore on Thanksgiving, could also give the Steelers an additional option after June 1st. Velasco has gotten zero interest from the free agent market, and the Steelers would have better insight into his condition than other NFL teams. The important issue is that both Wallace and, if he returns, Velasco, have position flexliblity to play guard or center. As it stands the Steelers are well staffed at guard, with Ramon Foster and David DeCastro. Foster is a solid guard and DeCastro showed signs in 2013 of growing into the dominant guard the Steelers thought they were getting in the first round of the 2012 NFL Draft. The Steelers have Guy Whimper who can play either guard or tackle and 2013 undrafted rookie free agent Nik Embernate who is a gaurd who was injured in training camp. Appearances can be deceiving. The Steelers are in a very good position now at guard and center. But that might not be true for long. As commentators have noted, the Cleveland Browns decision to match the 5 year 42 million dollar offer to Alex Mack can and will have repercussions in Pittsburgh. Maurkice Pouncey is in the final year of his rookie contract. Despite struggling with injuries he’s made the Pro Bowl in every season he’s played more than 8 plays in. His market value has been set, and that value is high. Perhaps too high for the Steelers. Over at Behind the Steel Curtain (full disclosure, I also write for BTSC) the idea of trading Pouncey has been floated – that’s not what this article is about. The Steelers most certainly would have liked to have signed Pouncey, and signed him to a handsome contract, and they probably would have done so this summer. Now their ability to do so is in doubt. That raises the possibility that they’ll take a center early in the draft. And if they don’t, and they’re planning on counting on Wallace or Velasco for the long term, then they need to restock their bench at guard. That raises the need-priority status at both guard and center from moderate to moderate-high. Michael Mitchell. 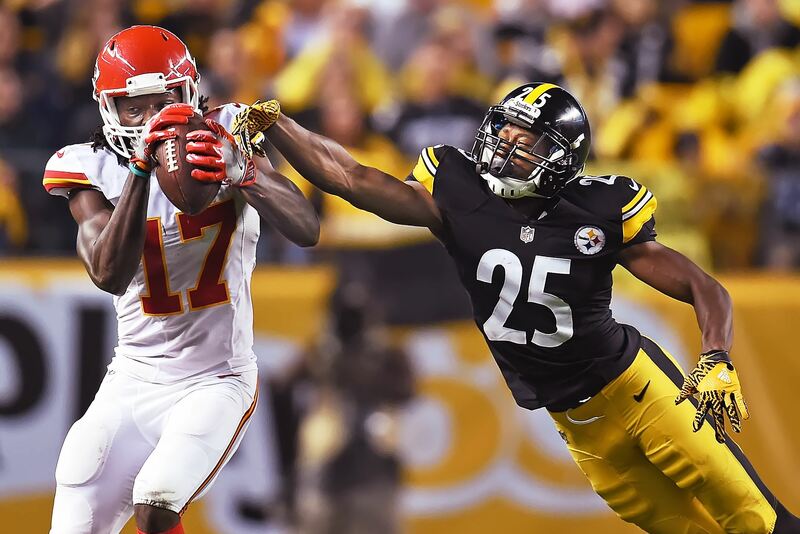 With those two words the Pittsburgh Steelers made a near unheard of day one splash in NFL Free Agency as the Steelers signed Mitchell to take Ryan Clark’s place. Day two saw the Steelers incurred their first losses in the form of Al Woods, Jonathan Dwyer and David Johnson. But the Steelers also addressed other needs. First the formally came to terms with Will Allen, news which had leaked last week. And they resigned Cody Wallace and Greg Warren. Neither Wallace nor Warren are household names in Steelers Nation. Nor should they be. Greg Warren has one job to do. The fact that the he wears two Super Bowl rings and only the die hard Steelers fans know his name is an indication of how well he does it. Cody Wallace was one of the players the Steelers picked up after they made final cuts (likely costing Isaiah Green his roster spot). Wallace did little for 12 weeks, until disaster struck at center for the second time, this time costing the Steeler Fernando Velasco. Wallace stepped in and the Steelers finished 3-1. Certainly he does not deserve full credit, but had he faltered it is not hard to imagine the Steelers record being different. Ray Mansfield, Mike Webster, Dermontti Dawson, Jeff Hartings. That’s 565 starts, 37 years, 18 Pro Bowls, and two NFL Hall of Famers. From Chuck Noll to Bill Cowher center always remained a pillar of stability of the Pittsburgh Steelers. That reality has radically changed under Mike Tomlin, whose succession of starters spans Sean Mahan, Justin Hartwig, Maurkice Pouncey, and Doug Legursky. If that bit of instability on this key offensive line position taught the Steelers Nation not to take center for granted, nothing prepared them for 2013. And that brings Steel Curtain Risings Steelers Free Agent Focus to Fernando Velasco and Cody Wallace. The Pittsburgh Steelers were likely on Fernando Velasco’s mind for much of training camp, as he expected to start opposite them on opening day at Heinz Field. Alas, he fell as a cap casualty and was in church when David DeCastro’s errant cut block connected with Maurkice Pouncey’s ACL. The Steelers signed Velasco immediately, and he brought stability to offensive line just as fast. Kelven Beachum was free to return to tight end and ultimately to relieve Mike Adams at left tackle. Cody Wallace was in street clothes on opening day, and all the way to Thanksgiving saw little more than spot duty. That changed on Thanksgiving vs. the Baltimore Ravens, as Velasco went down with an Achilles injury. Wallace stepped in and started the Steelers final four games of the season. The Steelers are franchise that saw four players split the starting duties at center (with all due respect to Roger Duffy’s starts during 1999 and 2000) that was suddenly forced to start three centers in a single season. Save for the home opener, for all of the weakness of the Steelers offensive line, the quality of play on the interior line was never at issue. That speaks well of both men’s abilities. Even if injuries were not up league wide, and they are, and even if they weren’t hitting offensive lineman harder than most position areas, if 2013 taught the Pittsburgh Steelers anything, it is that keeping quality depth on the offensive line is not a trivial matter. This reality alone makes both Velasco and Wallace attractive. Both are veterans who know what it’s like to line up in the trenches, both have proven themselves, and both have position flexibility. What more do the Steelers want? While the NFL’s salary cap increase look to help the Steelers, it still does not give them a lot of room to operate. Fernando Velasco has shown the NFL he belongs, and the market value for his services should reflect that. Do the Steelers really have the luxury of a carrying veteran with 60 games and 30 starts under his belt? The Steelers could do worse than Wallace, but his limited playing experience, he’d never started prior to the Steelers game vs the Dolphins, suggests that they could also do better. The wild card here is Fernando Velasco’s torn ACL, ironically enough. Had he not been injured, he almost certainly would have found a team willing to pay him more than Pittsburgh would have been willing to offer. But teams will be leery about throwing money at a player coming off an ACL injury, particularly in the early going of free agency, when the contracts are biggest. That in all likelihood means that Velasco won’t see much interest until after the 2014 NFL Draft. And at that point the Steelers will have far better insight into the progress of his recovery. Cody Wallace might attract some interest, but he’s likely a player the Steelers can have back if they want back. The Steelers need depth on the offensive line, particularly at center, because Maurkice Pouncey has not had a good track record when it comes to staying healthy. Bringing one or both back would be a wise move. Expect to see one or both back.